Michael Alberty is a wine writer based in Tualatin. He prefers writing about wine over past efforts writing about international environmental politics and major league baseball — because you can’t drink a baseball game and no one has ever professed their undying love to another human after reading about the Montreal Protocol. 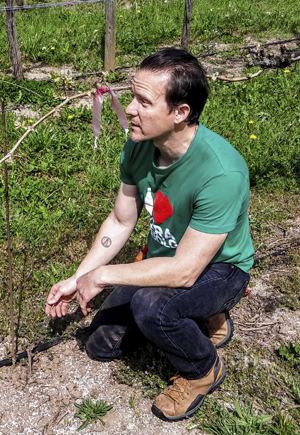 Michael’s work has appeared in Edible Portland, Willamette Week, Sprudge Wine, Terre Magazine, Wine & Spirits Magazine, The Octopus and on Jancis Robinson’s “Purple Pages” website. 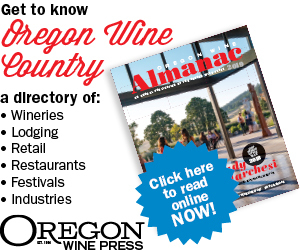 He also edits the Oregon section of the annual Slow Wine Guide and covers wine for The Oregonian. The clueless teenager struck his match and lit a smoke bomb. It took seconds for the wildfire to light up the Columbia River Gorge. A few miles away, as the skies blazed orange, Michael Garofola stared at his Dolcetto grapes. This was to be the first vintage for his Cutter Cascadia label and he had decisions to make as the wall of smoke approached. This was the worst possible moment for smoke to envelop a vineyard. It was Sept. 3, and the fruit was just starting to ripen. The skins were expanding and getting softer, making it easier for the volatile phenols contained in smoke — like guaiacol — to penetrate. At high enough levels, these compounds will interact with grape sugars during fermentation to give aromas and flavors reminiscent of hot rubber and wet ashtrays. 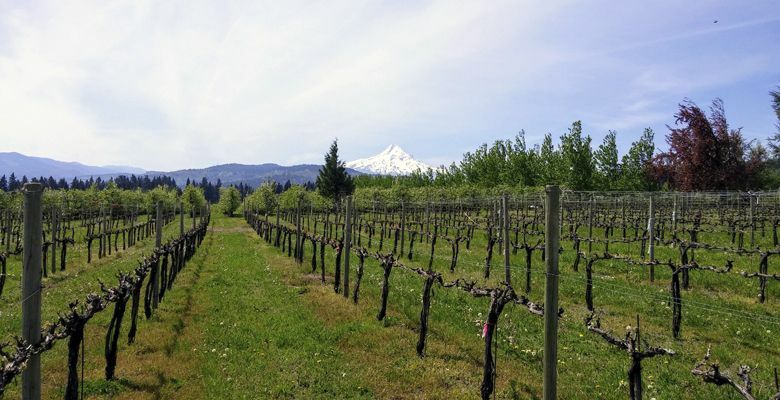 The Eagle Creek fire would eventually burn 48,000 acres in the Gorge and Mount Hood National Forest, but, for the moment, Garofola could only think about the half-acre of Dolcetto vines he leases in the von Flotow Vineyard near Hood River. “They were nowhere near ripe enough to pick. There was nothing I could do but let them hang on the vines,” Garofola says. He could easily have given up on the 2017 vintage and stayed home. For the next few weeks, while under constant threat of immediate evacuation orders, Garofola instead kept visiting the vineyard to thin the grapes, run his tests and prepare for harvest. The entire time he worked the vineyard, he memorized escape routes while keeping an eye on the horizon. His first red wine, the 2017 Cutter Cascadia Wine “Baby Blue” Dolcetto is the result of that stubborn determination. Once the grapes were picked Oct. 25, Garofola’s next major decision loomed: make the wine the way he originally intended or manipulate it in some way to diminish the effects of smoke taint. A winemaker has several tools to combat smoke taint. One is to decrease the duration of skin contact through techniques like cold maceration; another, to start fermentation with certain commercial yeast strains diminishing the negative qualities of smoke taint. A winemaker could even add oak chips or activated carbon to ameliorate tar and ash qualities. Garofola decided to stick to his natural winemaking guns. “I didn’t adopt a mindset that said, ‘Oh, I need to make this wine less smoky.’ When you start monkeying around with the process, other problems may develop,” he explained. Garofola split the Dolcetto grapes into two batches: 25 percent whole cluster fermentation and the other, 50 percent. He used native yeasts to initiate fermentation and refused to shorten the skin maceration time. Gentle pump-overs transitioned into punch downs, and, on Nov. 7, he combined the batches and pressed the juice into neutral 225-liter French oak barrels. After 10 months in barrel, Garofola added 15 parts per million of sulfur and bottled his first red wine without fining or filtration. So, how did the 2017 Cutter Cascadia “Baby Blue” Dolcetto ($24) turn out? The answer: Shockingly well. Pouring the Baby Blue into my glass triggered a childhood flashback: the color of my favorite red violet Crayola crayon. I swirled with trepidation, expecting to be hit by a “plume” of smoke. I was pleasantly surprised to discover scents like blackberries, dry hay and a savory meat broth. Yes, there was a bit of smokiness, but it wasn’t off-putting in the least. My first sip was a wall of black cherries and smoked blueberries. This time, my mind went to my days in graduate school: The Baby Blue has just enough tobacco leaf flavor to remind me of my attempts to appear worldly by smoking a pipe. To be honest, I was surprised how much I enjoyed Baby Blue. I knew it had been zapped with guaiacol and then made with minimal intervention and added sulfur. Garofola credits Dolcetto’s high level of tannins and anthocyanins — compounds that influence mouthfeel and deepen the color of red wine — for how well the wine integrated with the smoke taint. This makes sense in light of research coming out of Australia suggesting elevated tannins may interfere with our ability to perceive smoke taint in a glass of wine. My enjoyment of Baby Blue wasn’t just an intellectual exercise. I truly enjoyed drinking it with a grilled pork chop. That being said, I hope Garofola never has to make it again. May all the “Baby Blues” born in the future be as smoke-free as a doctor’s waiting room.